So over at Paper Crafter's Corner we are talking about challenges and why do them and why we like them. I love challenges because if gets you thinking out side the box, helps you get motivated, and helps you use up your stash. 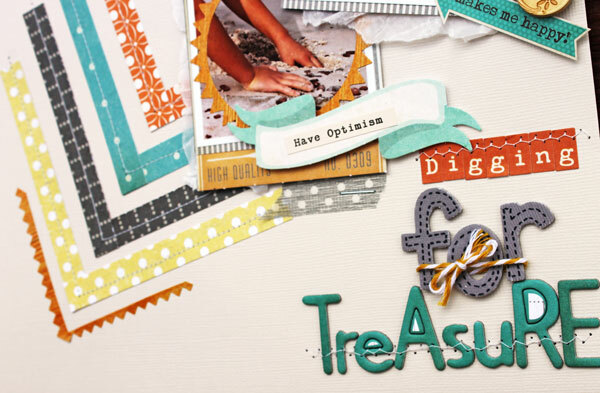 So I took on the color challenge over at Write.Click.Scrapbook. Love the color and the inspiration piece...well I couldn't take my eye off it. So I had to recreate it in my layout. So here is my take on the color challenge. Love the cute MME pieces and the SC circle frame. Such fun playing with different font. I love looking at your blog everyday...you are so talented. What a neat design for this layout. So cool. Oh I love this! So beautiful!!! You have so much talent! super cute and great style!!!! This is a super cool design Angie!!! I love the colors that go perfectly with your summery photos! that looks so nice, love the colours. What a wonderful mix of colors and neat supplies! LOVE it! what an eye catching page--LOVE it!